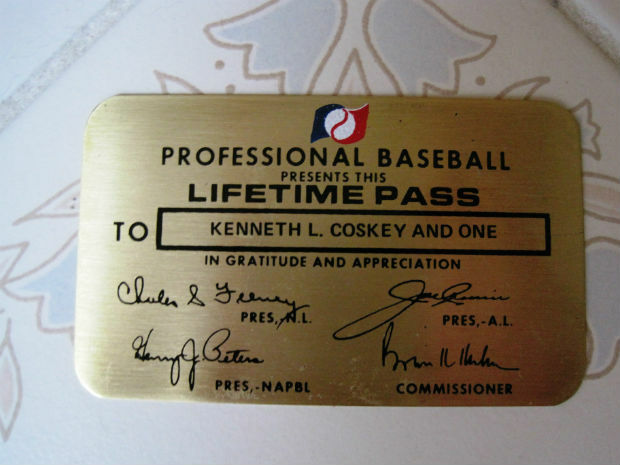 The first man to ever receive a lifetime pass good for any Major League Baseball game in the country never once used it. 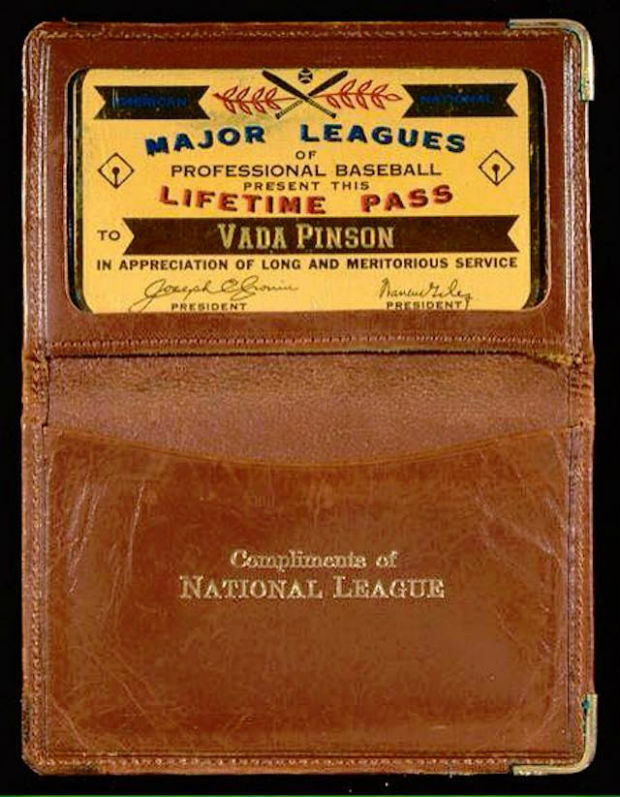 In acknowledgment of his status as the nation's leader, the National Association of Professional Baseball Leagues (NAPBL) gave President Theodore Roosevelt a card granting him entry to any field he desired. The president, who was fond of combative sports like boxing and football, openly disliked the plodding game, and it’s unlikely he ever crossed a turnstile with the pass in hand. Plenty of others have, though. 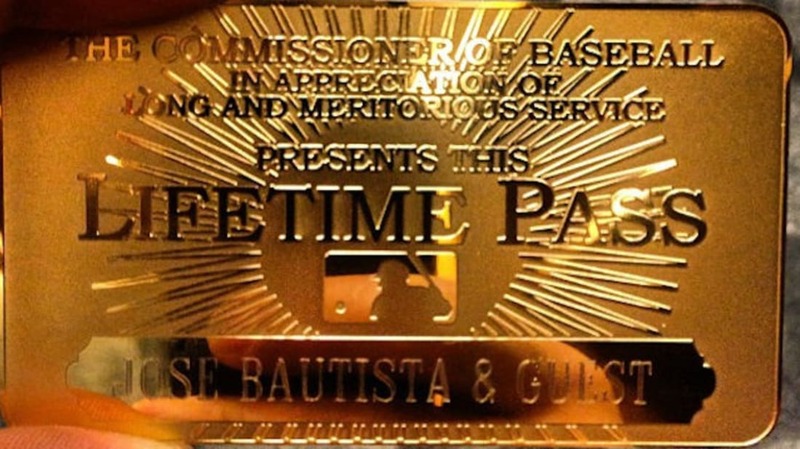 Since Roosevelt was presented with a pass in 1907, hundreds of major league players, umpires, coaches, and staff have received a “golden ticket,” good for free admission to any of the MLB’s 30 stadiums—with a few asterisks. The pass—once paper and leather-bound, now a gold-covered alloy—entitles the recipient to enter any regular-season game of his or her choosing, along with one guest. Stadiums have instructions on recognizing the pass at their press or VIP windows. (You don’t need to call in advance.) Seating can be determined by each ball club, but it’s not likely you’ll be finding yourself behind home plate during a playoff game; the pass isn’t valid for postseason attendance. Merhige and a colleague, Katy Feeney, handle distribution of the passes. At the start of each season, they both get a list of American and National League players who could become eligible during the year. Merhige tries to hand the passes to players as they come through MLB’s New York headquarters while in town for Yankee Stadium or Citi Field games; other times, they’ll be forwarded through a team’s public relations staff. “Players will sometimes call the union office looking for them,” Merhige says. “A few think they’ve put in the eight years and think it’s gotten misplaced.” It usually hasn’t; they just happen to be a few days short of the minimum. While the pass may have been wasted on Roosevelt, it was a few decades before players were able to relish the opportunity. In 1935, Ford Frick, then-president of the National League, gave former Cincinnati Red Stockings shortstop George Wright a pass that was one part generosity and one part public relations: the gift made headlines. He also gave one to Babe Ruth. Although Ruth played the majority of his career in the American League, the AL had no such pass, and it seemed absurd that the “Bambino” couldn’t walk into his own association’s games. That changed in 1936, when gold and silver passes began circulating for players with between 10 and 20 years of service in either league. 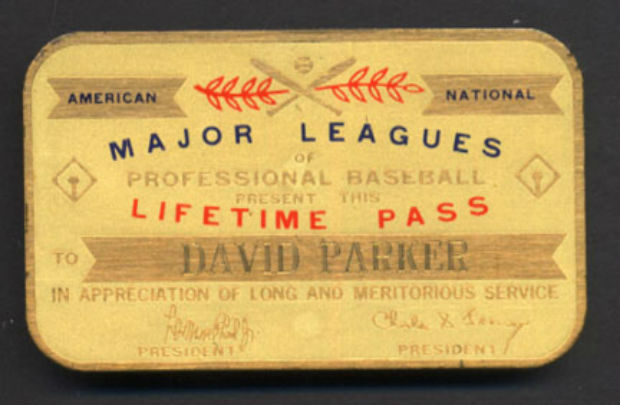 Not every pass has been circulated among presidents or MLB alumni. The league has often recognized great accomplishments—Charles Lindbergh got one after crossing the Atlantic Ocean in 1927, while 24 astronauts got passes in 1965—and great hardship in global incidents. “The first time we honored victims was in the Pueblo incident, which was a Naval ship that was impounded in North Korea,” Merhige says. The USS Pueblo crept into foreign waters in 1968 on an intelligence reconnaissance mission. After being captured, 82 crew members were imprisoned, and many were tortured. They were released after 335 days. Granting the Pueblo crew some small token of appreciation led to MLB offering the pass as a symbol of gratitude to returning POWs in Vietnam and, most notably, the 52 Americans held during the Iranian hostage crisis: they had been held captive at a U.S. embassy in Tehran from 1979 to 1981. (Their rescue was dramatized in the film Argo.) Though not the exact pass given to players, it offers the same benefits—admission to any baseball stadium in the country.